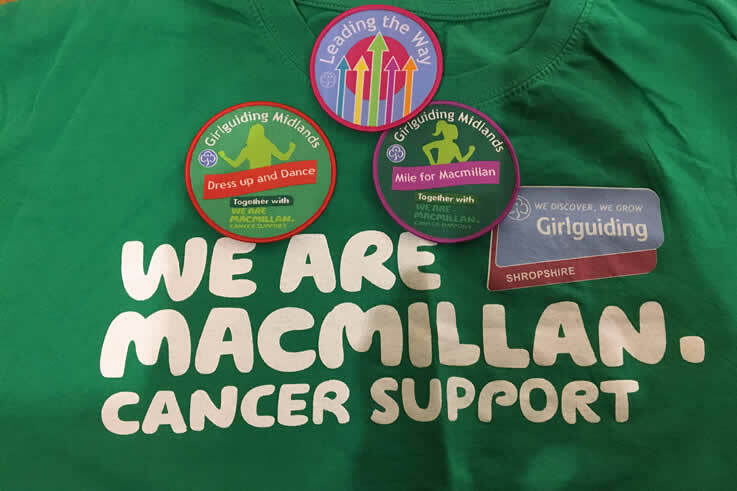 Girlguiding Shropshire have been working over the past 12 months with Macmillan to fundraise and raise awareness. Girls, leaders and Trefoil Guild have been actively involved in many projects, raft races, cake sales, marathon marshalling and dressing up and dancing. They have raised £5,949 and supported events that have raised over £50,000 for the charity. It was great fun and the girls and young women have also enjoyed the community action project. Well done!